This entry was posted on February 23, 2016, in Pools I Adore, Swim Heroes, Swim Training, Swim Travel and tagged Arlington Pool, Lido Pool, Sheila Taormina, Swim Speed Secrets, Swim Speed Secrets Coaching Certification. Bookmark the permalink. So much to tell about the incredible weekend I had in Sarasota, Florida, attending Sheila Taormina’s Swim Speed Secrets Coaches Certification. In fact, it’s taken more more than a week to process all that I did and learned. And now, it’s time to share. Sarasota, Florida is not a bad place to escape to when you spend your Winters in New England, and there’s been no snow for skiing. And when it means the opportunity to swim at a place like this, even better! Yes. This was the pool that greeted me on my first morning in Florida. Up early, excited to swim, it was, admittedly, with nerves in my belly that I had headed to Arlington Pool to swim with Sheila Taormina for the first time. I had known of Sheila for a long time. I followed her career as an Olympic swimmer (Gold!) in the 1996 Games, and then, her transition (tee hee) to triathlete where she competed in 2000 and 2004, and then, was amazed when she made yet another Olympic team in Modern Pentathlon in 2008. The first female athlete to compete in three different Olympic sports, she is a marvel. Several years ago, my own coach, Russ Yarworth, said “There’s this book I think you should read. This woman is saying a lot of important stuff,” or something like that. 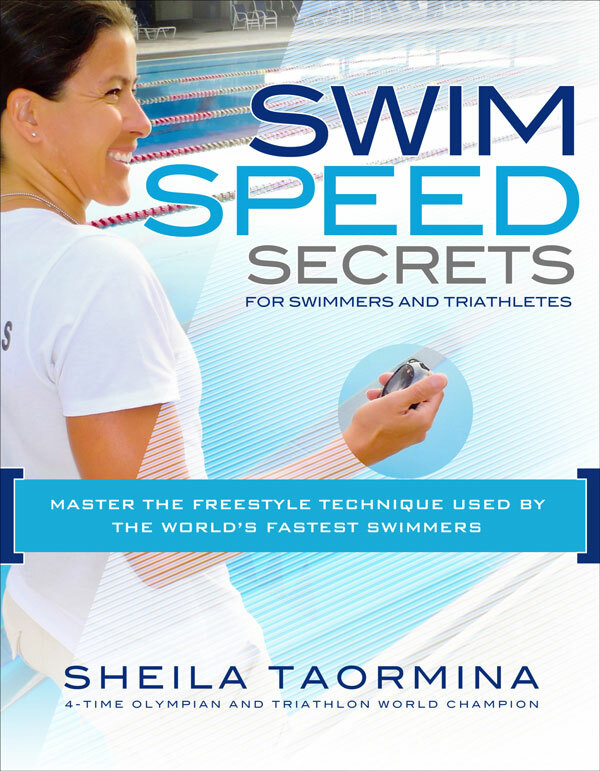 That book was Swim Speed Secrets, by Sheila Taormina, and it changed things for me. From that moment on, I admired Sheila and her work even more. Then, she wrote Swim Speed Strokes, and made me believe that, um, I could actually maybe DO those strokes besides Freestyle! Embracing her work for my own swimming was one thing, but then, I found out that I could actually go and learn from her, and learn how to share this with others. It seemed a dream—and because my husband is DREAMY, for Christmas, he gave me an amazing gift, a slot in the first Swim Speed Secrets Coaching Certification Clinic! It was with a combination of joy and anxiety that I received this gift. It’s one thing to have a swim idol from afar, and quite another to know that you will spend 4 days with them, learning and absorbing and hopefully, having a great time. So, the weekend of February 19th, I headed to Sarasota, excited and nervous and so grateful for the opportunity. I showed up at Arlington Pool the morning after my arrival. and there she was, walking on deck like an ordinary person, saying hello, grabbing her gear, and letting us know the workout for the day. Instantly at ease, because that’s how Sheila makes you feel, I know this weekend was going to ROCK! And I wasn’t wrong. First, it was time for swimming. 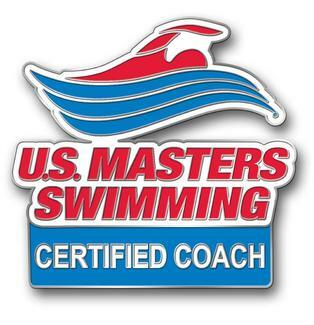 Sheila coaches the Masters team at Arlington, but the first session I attended is one where she also swims, and I was happy to have made that choice. And yes, I did get my own lane in this gorgeous 20-lane pool! It was next to Sheila, and if you’ve never had the opportunity to watch an Olympic caliber swimmer do their stuff underwater, in real time, I highly recommend it. It was breathtaking to watch her, and inspired me to swim fast and to relish the moment of being there, in that water, under the sun, in an outdoor pool unlike anything with have in Massachusetts. I swam for a few hours, choosing to stay in the water after the practice was over, because it was such a unique opportunity to be able to swim outside. It was the perfect way to start the trip because I felt relaxed, and had the rest of the day to explore before the real work started the next day. I drove around, visiting beaches and getting excited about Swim City! And then sadly disappointed when, um, it didn’t quite meet my expectations. I walked on the beach, and enjoyed the few moments of non-work time before our more intensive training and work started the next day. The next morning, I again got up for some early swimming, this time at Lido Pool, next to my hotel. I also considered a possible new career path. The pool was warm, and 25 meters, which was a treat. And thankfully, I managed to pass the Swim Test!! Also, this is ALWAYS an important reminder! Thankfully, my tummy was A-OK! I also checked the ocean temperature, and brrr! Still a bit chilly for me! A few hours later, it was back to Arlington Pool where the clinic began in earnest. That’s Sheila, lying on the pool deck, filming the first of the clinic attendees, all of whom were filmed and then received at least a 1/2 hour analysis of their stroke. She talked about their pull path, their stroke rate, looked at imbalances in their strokes, and spoke both specifically to each swimmer and then more generally about the work we would all do during the clinic. Sheila is one of those people who seems to have boundless energy, and despite the fact that it was at least 5 hours of talking to people about their swimming, she maintained enthusiasm and truly seemed to get really excited about it. It was great to watch, and I felt reinvigorated for my own coaching. I loved how individual the discussions were, and how each swimmer truly got an analysis specific to their needs. Then, after hours at the pool, it was time to head for our classroom session, where all of the swimmers met one another, and where Sheila set us up for what was to come over the course of the weekend. It should have been exhausting to be in a classroom after hours at the pool, but instead, it was exciting to think about what was to come. And if Sheila could get me excited about MATH while talking about stroke rates, well, that’s pretty miraculous! After the first of our long days, it was back to the hotel to get ready for the work to begin in earnest. The best was yet to come!